Craig Joseph Meaux Jr., M.D. is a native of Kaplan, LA (30 miles southwest of Lafayette, LA). He graduated from Vermilion Catholic High School then went on to get his Bachelors of Science in Biology along with minors in Chemistry and Psychology at the University of Louisiana at Lafayette. He received his Medical Degree from Louisiana State University School of Medicine in 2012 where he graduated in the top 10% of his class and was inducted into the Alpha Omega Alpha medical honor society. He then completed his residency in Ophthalmology at LSU/Ochsner Foundation in New Orleans, LA. He is board-certified and a member of the American Academy of Ophthalmology. Dr. Meaux provides comprehensive medical and surgical eye care including the diagnosis and treatment of glaucoma , diabetic retinopathy, macular degeneration, dry eyes, cataracts, pterygium, eyelid lesions, among others. Dr Meaux is also available to perform LASIK surgery and manage our ophthalmic emergencies including ocular injuries, traumas, and eye infections. 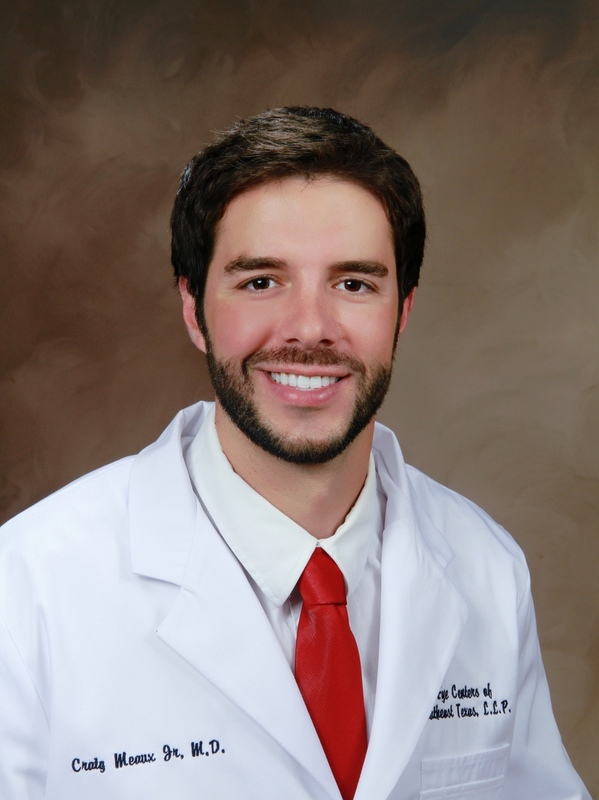 Outside of work, Dr. Meaux enjoys hunting, fishing, exercising, traveling, reading and spending time with his family.